Today is day 9 of Art Every Day Month! Keep on playing, keep on creating! The box below is a widget that I provide each day as an optional place to share a direct link (blog post or flickr image) to that day's creation. (If you're receiving this post via email, you'll have to click through the blog to see the widget.) If you don't have something to share today, don't worry about it! Share when you can. In the meantime, be sure to check out what other participants are creating! 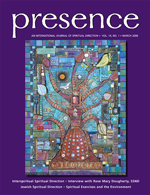 Check out the links from today's post and the links on the participant page for instant inspiration. You can also see lots of great work in the AEDM flickr group. Feel free to share your work there too! If you use the widget, please link to a specific blog post, not your main blog page or website (or you can link to a specific image if you're linking to a flickr page.) For example, last year for day one I linked to my first post: http://creativeeveryday.com/creativeeveryday/2010/11/the-owl-and-the-pussycat.html instead of my main blog page: http://www.creativeeveryday.com. This makes it easier for people to find your work. If you want to share, but don't have a specific page to link to, feel free to use the comments section of this post to share what you're working on. If you're posting less than once a day, no problem! Simply use the latest one of these posts to share a link to your creation. For some, it's too much to keep up with posting every day, but don't let that get you down. Do it if you can and if you can't, just keep on creating, that's the most important part. If you get off track and miss a few days of creating, don't let that freeze you up either. Just pick up where you left off and keep moving forward. One foot in front of the other. You are making your life a more creative one with each step. How to participate in Art Every Day Month: Check out the AEDM info page for all the details, instructions on how to get involved, and then visit the participants page to sign-up before you use the link widget to share your creations. The Information page also has instructions about how to use the widget below, if you're having any trouble with it. 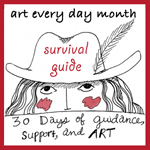 Survival Guide: If you feel like you could use some more support, prompts, and motivation to keep going throughout the month, check out the Art Every Day Month Survival Guide. 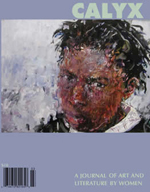 Twitter: If you're on Twitter (I'm on there as @leah_art), I'll be using the hashtag #aedm2011 to mark Art Every Day Month tweets. It helps to find others who are tweeting about AEDM! Instagram: You can use the same #aedm2011 hashtag if you're playing along on Instagram. 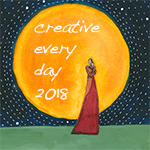 Creative Every Day Challenge participants: If you're not doing Art Every Day Month, you can still use any of the daily Art Every Day Month check-in posts to leave your weekly link. I’ve been sick so for the last 3 days I’ve been knitting when I’ve been awake. I didn’t post a link the past two days but I’ve been working on the same thing… the ribbing for my sweater. The link above for mygardenblue tells about some fun I had with my dog when she decided to help me un-knit! There is also a picture of what I have so far. Well, today I learned that when you have the courage to leave a post till the next day because you are just so tired and foggy that you just don’t see it anymore, IT’S SMART!! Day nine and the sun is trying to make its presence felt. Though I expect another grey day…I love grey days. Not everyone agrees with me. But grey is a beautiful colour. With the conference I’m having to attend, not much time for anything else. I am so ready for the weekend to really dive into my art and let it all go! Thank you for this challenge. Day 8 and 9 are combined into one sketch. I was so involved in making the jade dress shown lying on my ironing board waiting for me to hand sew the lining of the bodice. The ironing board is a great narrow table surface. I relaxed today sketching it and colouring it with watercolours. One photo is too blue – wrong light setting for my camera. What a way to relax. I didn’t realize until today that we were supposed to make our link to a specific day’s post, even if we are blogging every day. Does this disqualify me? This week I’m playing around with yarn vases. The picture of my AEDM project is at the end of my regular post. soulcomfort, haha! of course not. I think lots of people miss that bit of instruction. It’s just to make it easier for people to see your most recent work. pm it’s pm, maybe that was wishful thinking! Of course, the minute I signed up for this, my work schedule went crazy. Somehow I have managed to keep creating art! I’ve also been trying to hop over to blogs and see what everyone is up to. So inspiring! Day 9. I’ve actually completed 7 of the 9 days. Will try to make up for it. I think it’s easy for us creatives to get bogged down by negative and critical thoughts, so I wrote about that in connection with my latest painting. Again, thanks for the inspiration! I’M BACK! I knew the arrival of my son who I have not seen for 10 months would throw me off the daily creative path! But I managed to catch up today…if you all approve of my method, that is! enjoying all the creative efforts!! Took me a while to post a link today. Kept getting a data base error. Glad everything is up and running again. I finished the the two girls in a boat painting, and posted it today. I’m still thinking of a good title. If you have any suggestions, let me know. 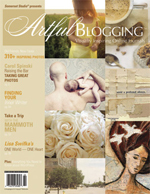 I’m really enjoying visiting your blogs and seeing all the creativity taking place here. I’m feeling very inspired! Today I was super busy but did manage to get in a quick sketch. I had to take time off from the sketchbook to work on my newest copper bowl, but that’s still art so it counts! I made it! Got day 8 and 9 posted tonight. Day 9 I made cheetah spots. It’s so hard for me to post early. thanks for inspiring me leah! I finally got a chance to upload my pics for this challenge. It is great to create every day like this! Today’s creation was inspired by the moments between awake and sleep. That took me forever, a bit of guilt, and memory I seem to be losing! Catch up day! I got my past artwork into digital format! Here is 2:00am, which brought up similar memories from those early years you mentioned about your current painting.